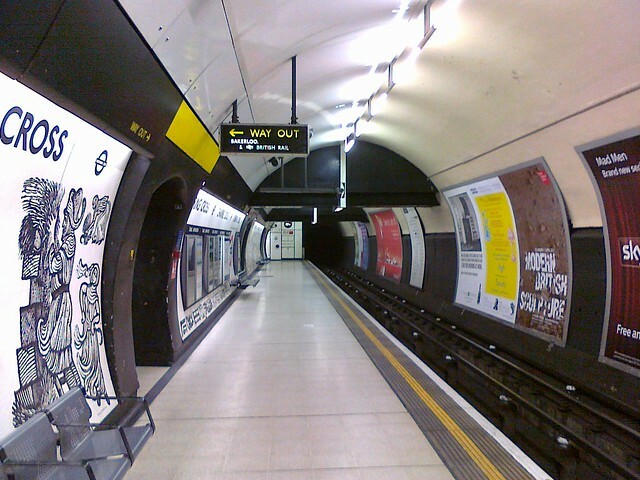 Trains, tubes, buses and other things that go from A to B. Living somewhere where you can easily get around with any number of public transport options is a really great thing. When I got back to P.E.I. after my first holiday in London in 2005 I hated that if I needed to drive somewhere I had to do it myself. 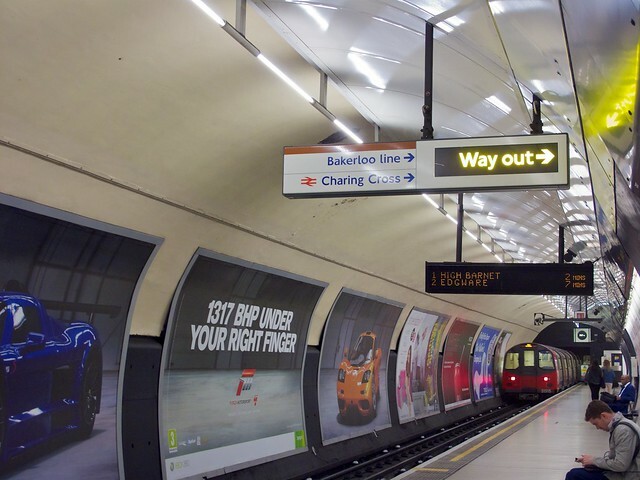 Yes there’s flaws with transport in London… like the Tube strike today, but overall I think it’s amazing. Saying that though, I do sometimes miss driving. I really did love driving and having a car. Once in a while I get that urge to just hop in behind the wheel and just go where the four wheels take me. So for Christmas day this year I thought I’d take advantage of the far tamer traffic in London and do something I said I’d never do: go for a drive around central London. 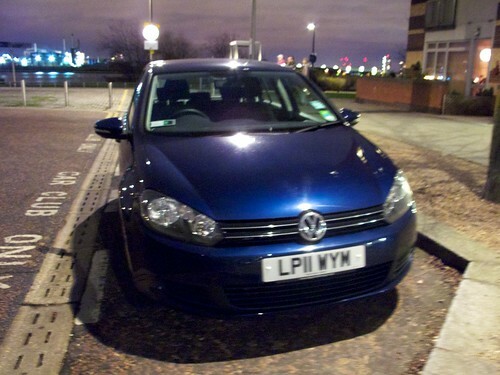 I booked out an automatic VW Golf from Zipcar for 3 hours Christmas afternoon. Thankfully the one automatic car available was just a 20 minute walk away by the O2/North Greenwich Arena/Dome/whatever you want to call it. At first I was a bit shaky behind the wheel. Last time I had driven was in October 2010 and before that was December 2009. I was slow going at first and had a bit of sensory overload with all the things I had to remember to do while driving. Not to mention the bizarre traffic light set up here where there’s about 3 lights for each lane. Which one should I be looking at?! I hadn’t planned any route. Didn’t take a map or have any sat nav. That was part of the fun; I wanted to just rely on the London map in my head. Granted all I know of the roadways is from being on a buses and odd jaunts out of Greenwich on my bike. Still, I was pretty confident. Setting out from Greenwich Peninsula I drove through Greenwich town centre, on to Deptford, then Rotherhithe and Bermondsey. The goal was to cross the river at Tower Bridge. Easily done as I just followed the route of the 188 bus. From the north side of Tower Bridge I headed along Lower Thames Street, Upper Thames Street and Victoria Embankment. After that was my first big traffic challenge: going around Parliment Square to get into Whitehall. I managed quite nicely. From Whitehall I went to Trafalgar Square, the Strand, Fleet Street, past St. Paul’s, onto Bank and Bishopsgate. After this I just sort of let which lane I ended up in guide me and I ended up in Hackney for a while, which isn’t all that terrible. I then went back into the city and headed for Smithfield and Holborn. 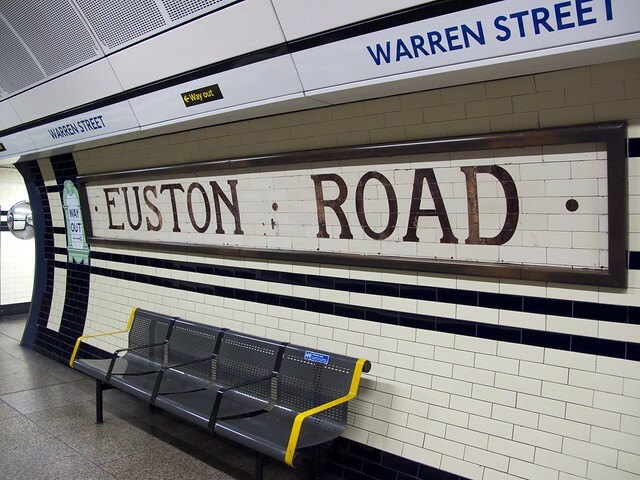 I made my way down Tottenham Court Road playing guess which lane and then turned onto Euston Road and followed it into Islington and again back to the City. I was going to try to drive down the Mall, so I went back down Fleet Street and the Strand but ended up being on the wrong side of Aldwych and was stuck with going across Waterloo Bridge. By this time I had been driving for about and hour and half and was getting pretty tired and hungry so I thought right, let’s head south east and find my way home. I knew this would be the trickiest part of the journey so I wanted plenty of time to get it done anyways. From Waterloo I went to Elephant & Castle and successfully navigated the mess that is the Elephant & Castle square roundabout. Driving down the Old Kent Road I was pretty content that I was going the right way. 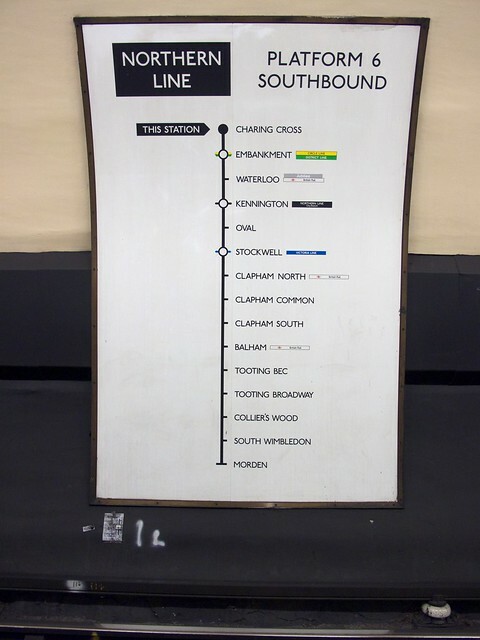 I only slipped up once in that at one point the signage said straight on for Dover or turn right for Lewisham. Well, I thought if I go to Lewisham I know how to get home from there so let’s go for it. Nope. I ended up in some residential part of Lewisham. Thankfully I realised quickly I was going nowhere fast and back tracked. Funny enough, if I had gone straight I would have seen I was not far from the end of Deptford High Street and would have known exactly where I was. I reckon that was pretty good success. 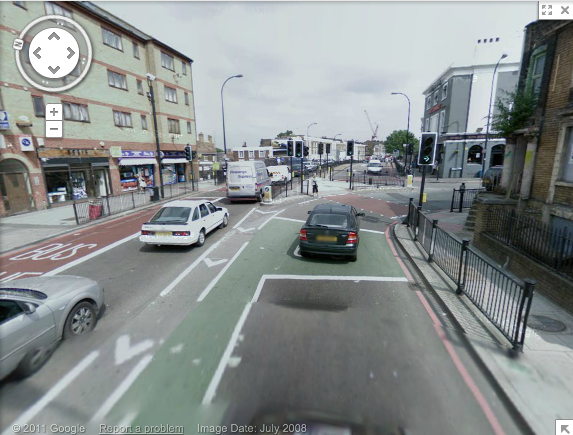 There was only one other fumble to report and that happened at the junction of Faringdon Road and Clarkenwell Road. For all intensive porposes it looked like there were two lanes to go straight. There was a traffic light on each lane, both red, both with a straight ahead only sign and no other markings I could see, so that must be the case. Nope. I was in the lane for oncoming traffic. This is why I would only do this on a day as quiet as Christmas. Thankfully everyone was patient while I backed up and someone let me into the correct lane. No harm done. Overall, there was more traffic than I thought there would be, car, bike and pedestrian combined. I think maybe word is spreading on how quiet central London is on Christmas day and everyone wants to get in on it, which is a bit of a catch 22. The experience of driving was fun, giggle inducing and a little bit nerve wracking at times but I’m still glad I did it. I rigged up my iPhone on the dash a few times and took some footage. It’s just like watching someone play Forza Motorsport, kind of. Also, cars have gotten way too filled with buttons while I’ve been a non-driver. That Golf was lovely to drive but the inside was a bit like a spaceship. I went out this afternoon for a shopping trip, Andrea style. This meant book shops, stationary shops and game shops. I stayed away from all Uniqlos after picking up four new t-shirts on Threadless yesterday. The first place I popped in to was the London Transport Museum Shop. I wanted to pick up the last handful of coasters I needed to complete the set. 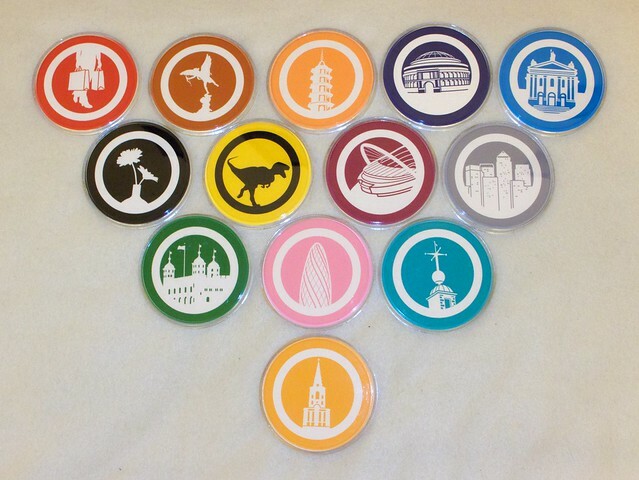 For ages now they’ve had these lovely lil’ round coasters, a colour coded landmark for each Underground line. I have all the ones in the shop now. 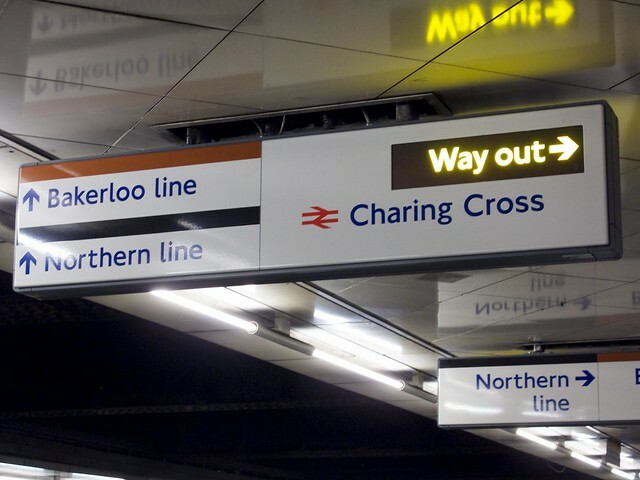 I don’t recall there ever being one for the Waterloo & City line so I think I have the whole lot now. Moving along to Game Focus in Goodge Street to see what Gameboy games they have. 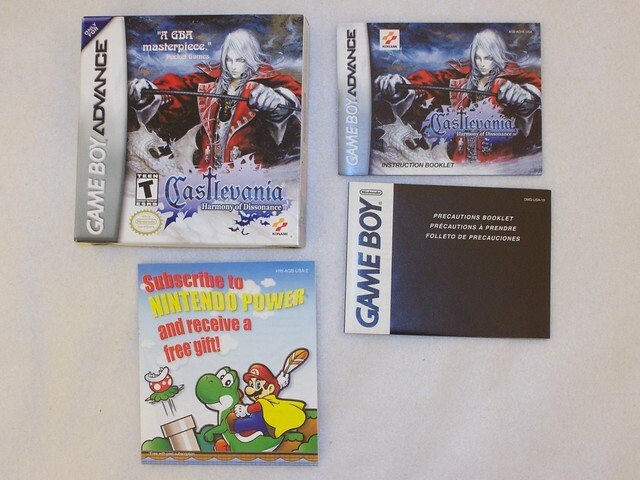 They have a case of interesting stuff in the window and right there I spotted just what I wanted; a mint copy of Castlevania Harmony of Dissonance. This one had been proving tricky to find. Not a lot of them come up on eBay and when they do they are stupidly expensive. There’s one on there now that is a buy it now item for £10.99… shame it’s a fake. While the chap running the shop made sure that everything in the box was in tact we had a chat about how shops carrying retro gaming stuff are a rare breed despite the current popularity of old games. He was saying they were worried when old games started to become downloadable on new consoles that it would severely hurt business. However, a lot of people started thinking the same I do that the original thing is still the nicest to have and started to hunt down the original games. For anyone interested, they currently have an Amiga CD32, a NeoGeo and a NeoGeo Pocket Color looking for a home. Good thing I wasn’t in one of those ‘maybe I’ll get a NeoGeo Pocket’ moods today. 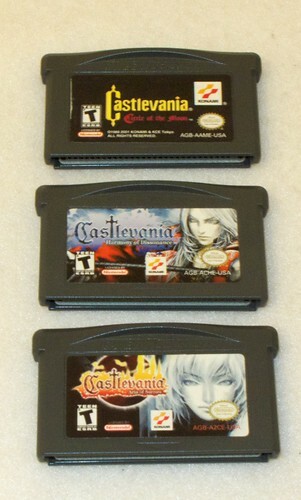 So now I have all three Castlevania Gameboy Advance games. I’m not a huge fan of Circle of the Moon. I found the card system was a bit goofy. However I’m loving HoD, much the same as Aria of Sorrow. Another collection, albiet small, completed!